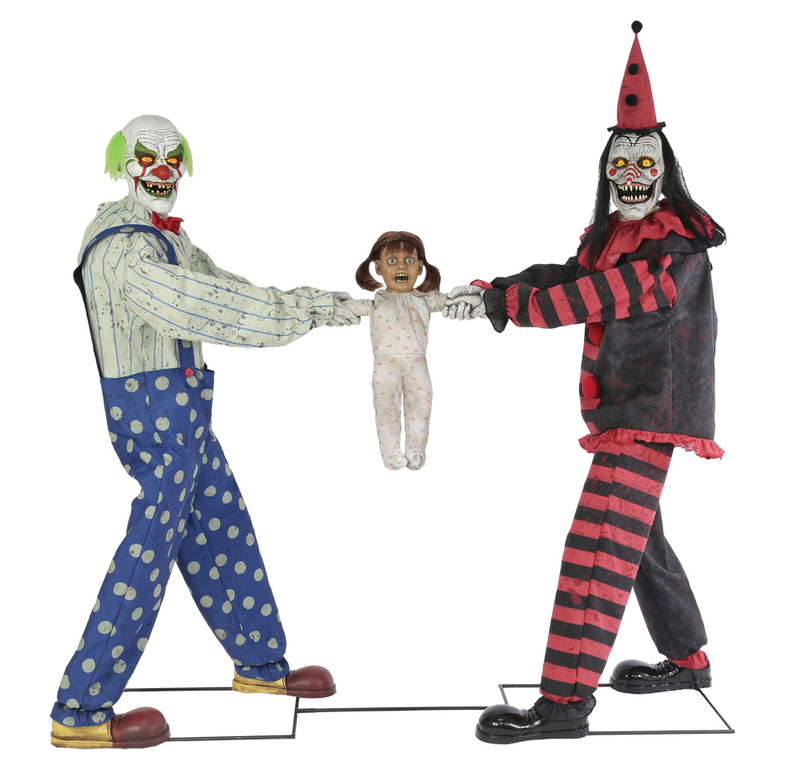 Two creepy clowns play tug of war with a screaming little girl while lots of humorous conversation goes back and forth and old calliope music plays! Plug the UL power adapter into any standard outlet and choose from Steady-On, Infra-Red Sensor or Step-Here Pad (included) activation options to operate. The infra-red sensor works up to 6.5 feet away in bright light to no light! Includes volume control. Easy-to-assemble quick-connect poles. Includes Step Here activation pad. Assembly required.